Services offered: legal advice, negotiation, representation in court proceedings, court paperwork, mediation, collaborative law. 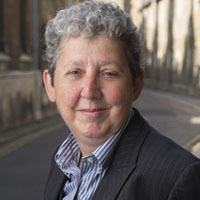 Directories: Listed as a Band 1 practitioner in Chambers & Partners (2017), which says ‘Gail Marchant-Daisley is “an incredibly experienced and knowledgeable lawyer” and is highly regarded for her client service where “she really knows how to guide them without pressuring them.“ She is also called upon for her technical skills as a mediator and her experience for non-married couple cases.’ Gail is also listed as a leading individual in the East Anglian region by the Legal 500 (2017) being “widely regarded as one of the region’s most experienced family lawyers” and in the 2016 edition was “singled out [with Simon] for being ‘absolutely on top of their subject’”. Member of Cambridge Dispute Resolution Group and the Family Mediators’ Association.